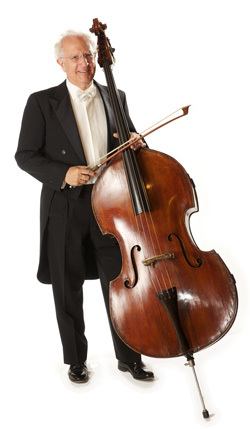 Dr. Bourque studied double bass with Marvin Lewis in New York, where he performed with the Massapequa and Huntington Symphony Orchestras. He continued bass studies at the Peabody Conservatory in Baltimore while pursuing a BA in Biology at Johns Hopkins University. During his graduate work leading to MS and PhD degrees in Botany and Biochemistry, he was principal bassist in the Duke University Symphony and bass instructor at the Duke University School of Music. In 1973, Dr. Bourque joined the University of Arizona faculty, where he is Professor of Biochemistry and Molecular and Cellular Biology. He also joined the Tucson Symphony Orchestra in 1973. He has performed with the Arizona Opera Company, Tucson Pops Orchestra, Tucson Ballet Company, Catalina Chamber Orchestra, and Saloc Orchestra.